The NetApp FAS2040 can scale up to 368TB from 136 drives (12 internal and 124 expansion drives) and offers a maximum 8GB memory in the Active/Active config. Inventory: We have an extensive inventory of FAS2040 NetApp Filers, and can often ship the same day (depending on the time of your order and requested shelves and drives). 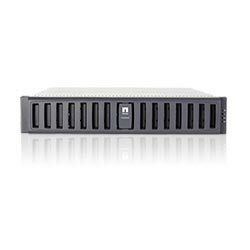 Confidence: Purchase the FAS2040 filer with confidence - Maximum Midrange offers an industry leading warranty on NetApp hardware. If you need a longer warranty, we can tailor a program to fit your needs or offer hot spares to eliminate any wait time.